ROME, Aug 8 (Reuters) – Italy’s opposition accused Prime Minister Silvio Berlusconi on Monday of surrendering sovereignty to the European Central Bank after he pledged to speed up reforms in return for help in facing a dangerous debt crisis. The ECB agreed on Sunday to buy Italian and Spanish bonds to calm markets after a huge selloff last week sent yields climbing to record levels for the euro zone’s third and fourth largest countries, threatening to unleash an uncontrollable situation. 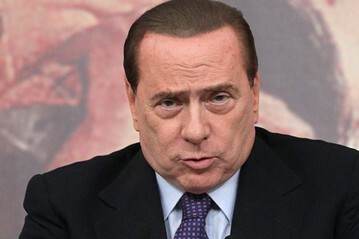 Berlusconi had agreed late on Friday to bring forward the government’s target of balancing the budget by a year to 2013, following pressure from the ECB. Antonio Di Pietro, head of the opposition Italy of Values party, said Berlusconi had been “dragged by the ear by the EU and international economic institutions” to the news conference where the measures were announced. “Berlusconi should perform a service to his country for the first time and go,” he said. “Palazzo Merkel”, read an editorial headline in the left-leaning La Repubblica daily, referring to Berlusconi’s official residence, Palazzo Chigi, and German Chancellor Angela Merkel. Behind the rhetoric, the criticism from opposition parties and unions reflect broad concern about the apparent deal between the ECB and the government, suggesting growing political resistance. European sources told Reuters last week that the ECB had demanded Italy fast-track reforms and budget measures to reduce a large debt burden in return for the agreement to buy bonds. The daily Corriere della Sera newspaper said that the ECB demands for accelerated reforms were contained in a letter President Jean-Claude Trichet and Bank of Italy Governor Mario Draghi had written to Berlusconi. She said the text of any communication with the ECB should be published in full “without omissions so that everyone can judge at what point we are with the crisis without the veil of government lies”. Berlusconi and Economy Minister Giulio Tremonti have so far given very little detail on what they plan to do beyond declaring they will accelerate measures agreed in a 48 billion euro austerity package approved in parliament last month. But there are growing questions about how much freedom of manoeuvre they really have. Mario Monti, a former European Commissioner widely seen as a potential head of a so-called “technical government” of experts which some opposition parties want to replace Berlusconi’s struggling centre-right coalition, said the government had effectively ceded power. In a guest editorial in Corriere della Sera at the weekend, he said a “technical government” was now effectively in place. “Form is upheld, ministers remain in office. The primacy of politics remains intact. But the principal decisions are taken by a ‘supranational technical government’ and one could add a ‘market government’ spread between Brussels, Frankfurt, Berlin, London and New York,” he wrote. 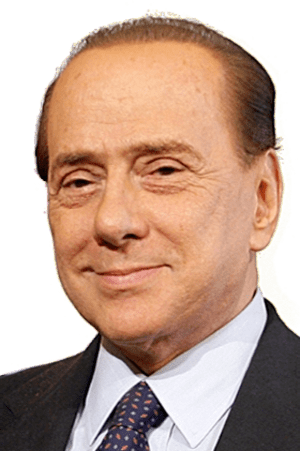 On Saturday, Berlusconi once again ruled out calling an election before the next due date in 2013 but he has been badly damaged by recent local election and referendum losses and has struggled to control his fractious coalition. Last week, he promised a comprehensive reform pact with unions and employers to cut red tape, break down regulatory barriers in product and service markets, reduce the costs of government and fight tax evasion. However no firm details are expected until September.